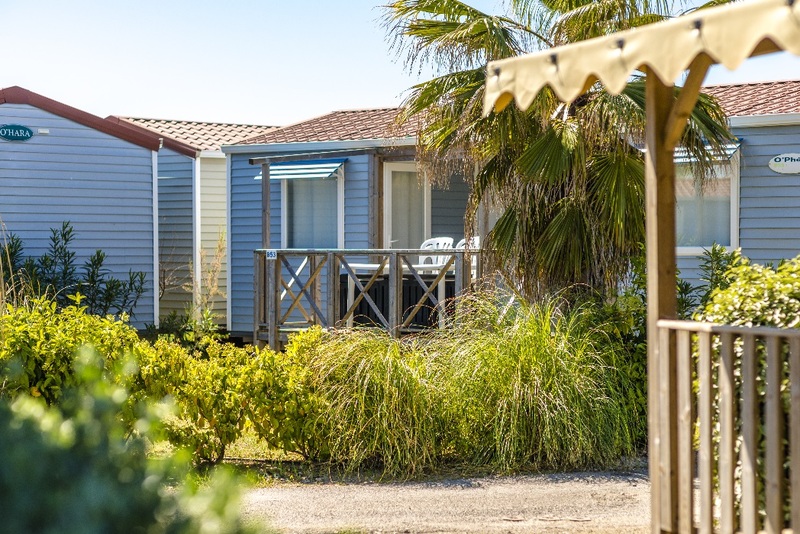 You’re thinking about a family vacation, a couple gateway or even a business trip close to the beach in a confortable 4-star camping in the south of France ? You are at the right place. We offer you a large range of modern accommodations with all amenities included. 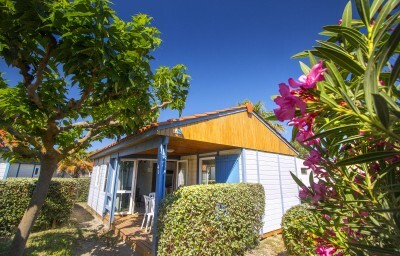 Chalet or mobil-home with 2 or 3 bedrooms, 1 or 2 bathroom, you can take your pick! 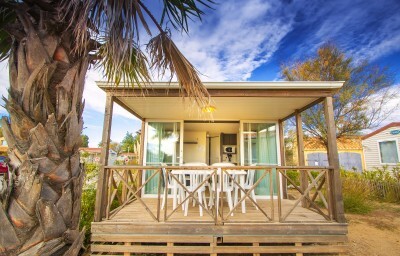 This mobile home includes two bedrooms. The shower and WCs are separate. This mobile home includes two bedrooms with separate entrances and private bathroom. 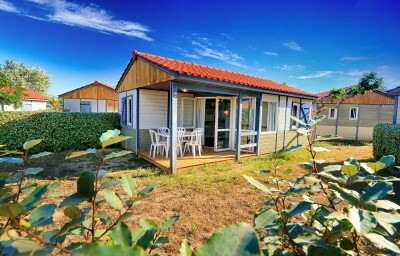 This mobile home includes two bedrooms: the first featuring a double bed and the second two single beds. This accommodation has a shower room: separate WC and shower. 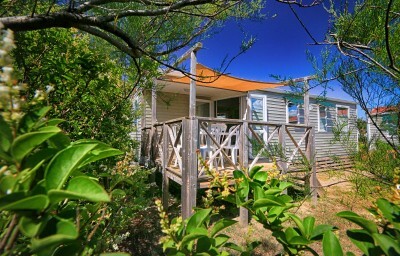 For this chalet, two models are available: a model for 6 persons and a larger one for 7 persons. This chalet with 2 bedrooms features a shower room in each bedroom (shower + WC + wash basin). 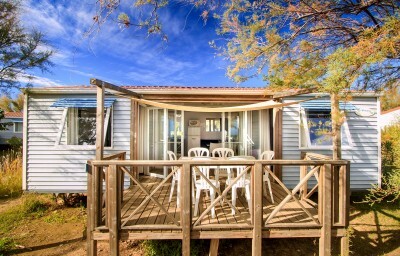 This mobile home includes three bedrooms. This accommodation includes a shower room: separate WC and shower. This mobile-home includes three bedrooms. The first equipped with a double bed and the second and third with two single beds. You’ll also find a double banquette in the lounge. 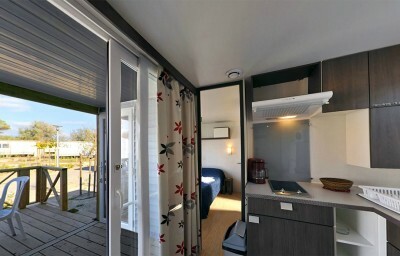 This mobile-home for 6 persons includes 3 bedrooms and 2 bathrooms. 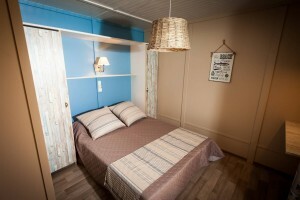 The first room is equipped with a double bed and the second and third with two single beds. 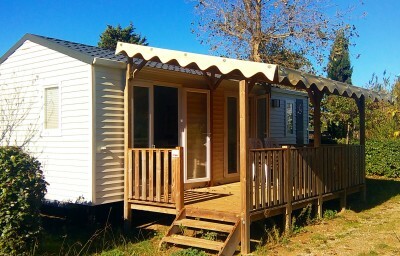 This mobile-home for 8 persons includes 3 bedrooms and 2 bathrooms. The first room is equipped with a double bed and the second and third with two single beds. You’ll also find a double banquette in the lounge. 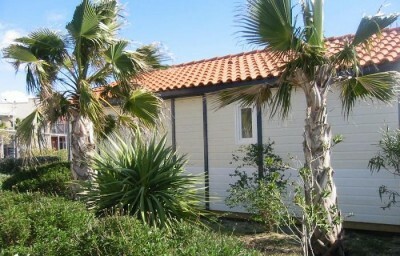 A spacious mobile-home adapted to visitors with reduced mobility. 2 bedrooms and 1 bathroom. A spacious chalet adapted to visitors with reduced mobility. 2 bedrooms and 1 bathroom.